Wait. You want me to make an apple pie with no apples in it? 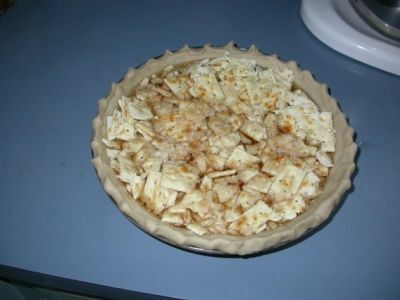 Mock apple pie has a rich history from the settlers heading west across a young United States to the 20th-century suburban housewife. 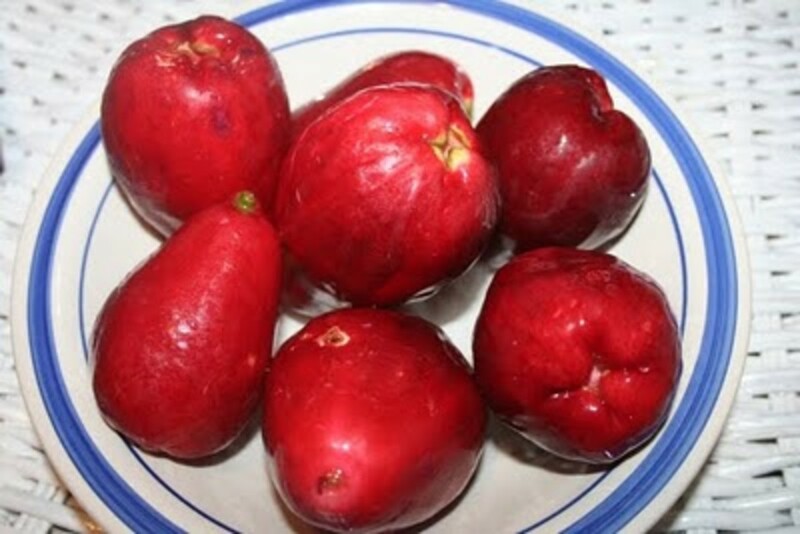 Read on to learn all about this culinary oddity. 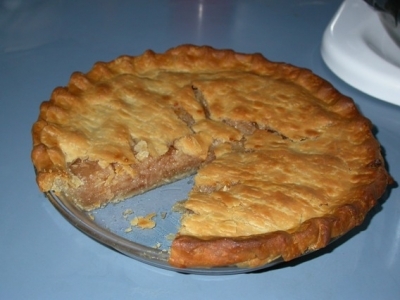 Mock apple pie makes its first appearance around the middle of the 19th century. As they journeyed west, North American settlers yearned for the taste that reminded them of home: apple pie. Apples were hard to come by out in the wilderness, so those amazing pioneer women came up with a dessert that is surprisingly apple-y, considering that it contains neither apples nor apple juice. The recipe first appeared in Mrs. B. C. Whiting's book How We Cook In Los Angeles (1894) as "California Pioneer Apple Pie, 1852." While the original recipe used soda crackers, Ritz saw a fabulous marketing opportunity during the Great Depression in the early 1930's. Apples were prohibitively expensive at that time, so Ritz adapted the recipe to use its own brand of butter cracker and put the recipe on the back of the cracker box. 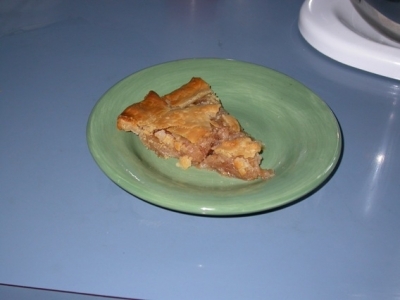 Mock apple pie became a favorite throughout the 30's and 40's. Preheat oven to 425 degrees F. Line glass pie plate with 1/2 of pastry. 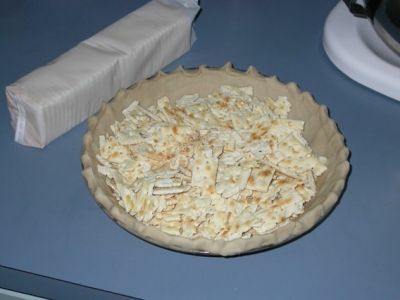 Place crumbled crackers in pie plate on top of crust. 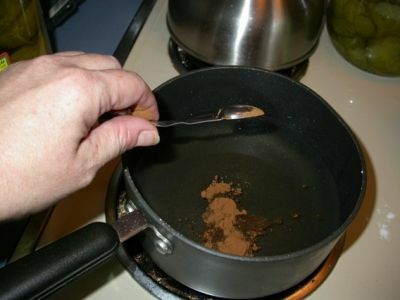 Mix sugar and cream of tartar in saucepan. 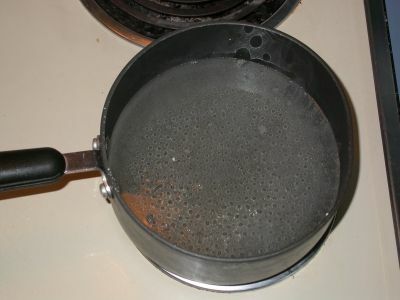 Gradually stir in water until completely combined. Bring to boil. 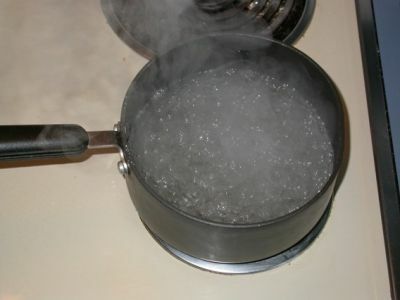 Reduce to low and simmer for 15 minutes, without stirring. Add lemon juice and zest. Allow mixture to cool. Pour syrup over crackers. Dot with butter. Sprinkle with spices. Put top crust on, and seal edges. Cut vents into top crust. Bake for 30 to 35 minutes or until crust is golden brown. Cool on wire rack. 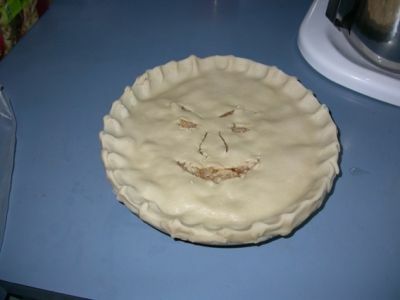 What gives this pie its apple taste? I think it is the tartness of the cream of tartar. I tasted the syrup made of water, sugar and cream of tartar. It contained a definite apple taste. Turns out that apples do indeed contain tartaric acid (incredibly closely related) and malic acid, both of which give apples their distinctive fresh, slightly tart taste. Mom 'n' Pop's Apple Pie 1950's Cookbook: Over 300 Recipes from the Golden Age of American Cooking! What Can You Tell Me About Cream of Tartar? I'm glad you asked. Cream of tartar is a by-product of the wine-making industry. Also known as potassium hydrogen tartrate, it is made when tartaric acid is half neutralized with potassium hydroxide, transforming it into a salt. Grapes are the only major source of tartaric acid. It forms as a sediment and as crystals inside wine barrels as the wine is aged. 1. I've heard that it can stand in for baking powder, so I guessed it was a leavening agent. 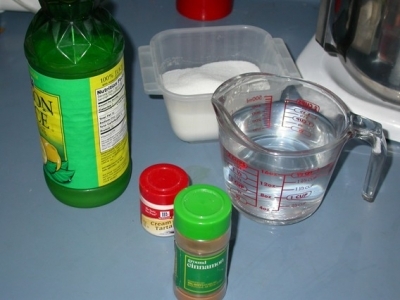 It is often mixed with baking soda to make a substitute for baking powder. 2. You can also add it to egg whites to make them whip up fluffier and stay that way longer. 3. You can sprinkle cream of tartar on vegetables to keep them from discoloring. 4. Cream of tartar is often added to desserts and candies to prevent crystallization of sugar, producing a creamier texture. 5. It is widely used in soft drinks, bakery products and gelatins. 6. Cream of tartar is a common ingredient in sodium-free salt substitutes. Bonus: You can use cream of tartar to clean brass and copper. UPDATE: Squidoo shepherd adez7 tells me of another use: "If you're coming down with something like the flu or some temp illness, a tsp of COT in a 4 oz glass of water will turn your system alkaline in a short time and many times will put that thing on the run in a hurry." 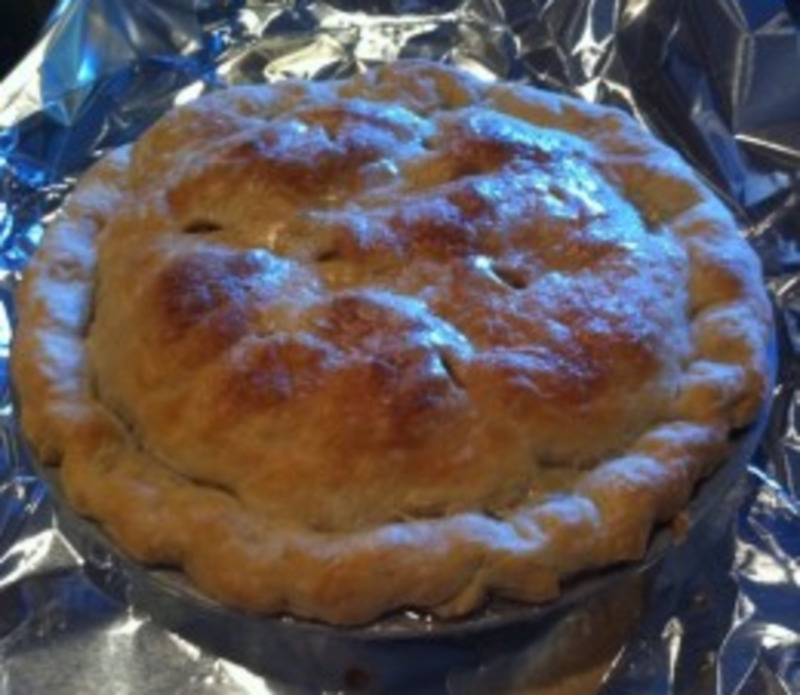 Making the Perfect Pie Crust - Here are two different ways to make a perfect, flaky pie crust. One the old-fashioned way, the other with a food processor. Slightly different recipes too. I'd like to compare the two crusts. I admit I'm not a pie baker. I do cookies and cakes, not pies. I'm telling you up front that I feel no guilt about using one of those refrigerated-premade-roll-it-out-into-your-pie-plate crusts made by a pudgy biscuit guy (click here to make him dance) who shall remain nameless. But I did enjoy making those little flute things around the edges. Here's the secret to the whole process. You would swear that this sugar syrup has apple juice in it. I'm thinking that you could probably pour this syrup on pretty much anything and it would taste like apples. I tasted the dry cream of tartar powder. Pretty darned puckery and tart. I just can't follow directions. I decided the cinnamon should be added to the syrup instead of sprinkled on top. Of course the Ritz box tells you to use Ritz crackers. I didn't have Ritz crackers, but I did have some saltines. That's what the original recipe used anyway. 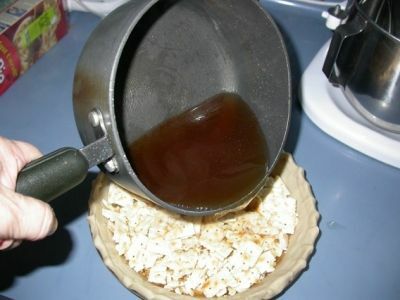 When I poured the syrup into the pie plate, the crackers started floating around. I thought that might be a bad sign, but I forged ahead. After I put the top crust on, I realized that I had forgotten to put the butter on top of the crackers. Oops. Decided that it would be fine without the butter. My sad attempt at art - looks like Binky Barnes on "Arthur"
"Really brings out the flavor in these cheetos!" Several friends asked, why not just use apples? I probably will from now on. You have to remember this was a substitute when apples weren't available. As such, it's pretty tasty. The color is spot on. The texture is the downfall. It's a bit too mushy. What did you expect from wet crackers? 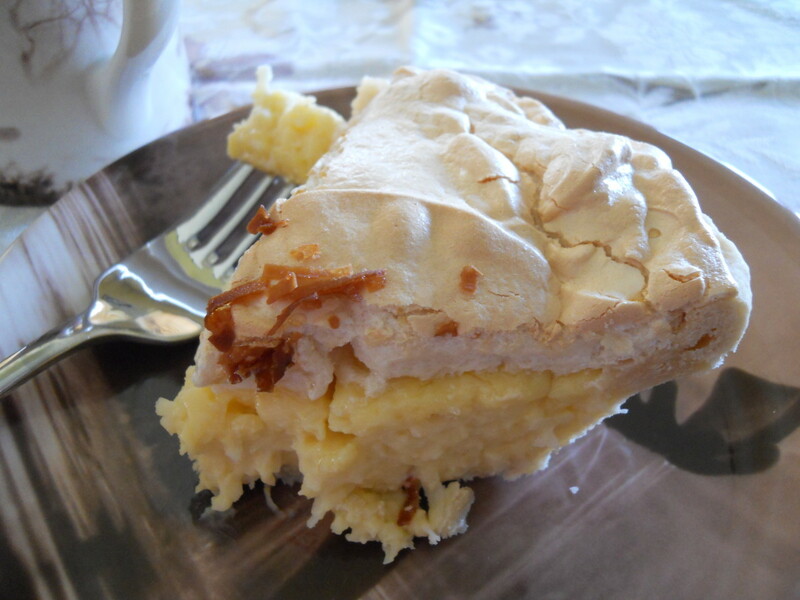 Recipes for Unusual Gluten Free Pasta: Pierogis, Dumplings, Desserts and More! 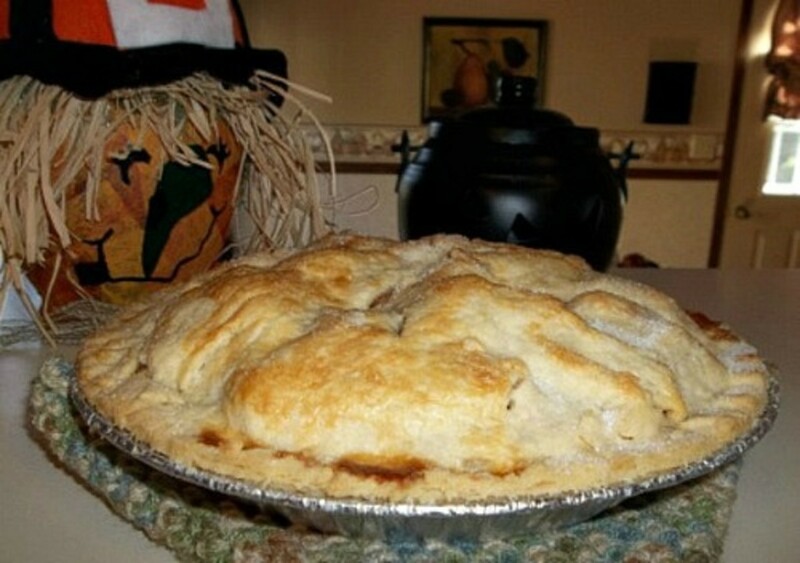 How about an Apple Pie Recipe that uses real Apples? To Make Crust: In a large bowl, mix together 1 1/2 cups flour, oil, milk, 1 1/2 teaspoons sugar and salt until evenly blended. Pat mixture into a 9 inch pie pan, spreading the dough evenly over the bottom and up sides. Crimp edges of the dough around the perimeter. To Make Filling: Mix together 3/4 cup sugar, 3 tablespoons flour, cinnamon, and nutmeg. Sprinkle over apples and toss to coat. 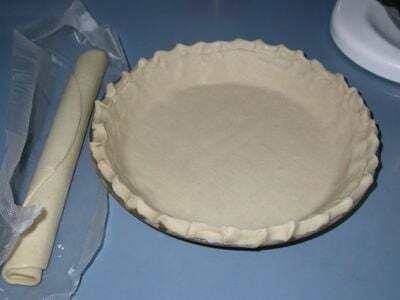 Spread evenly in unbaked pie shell. 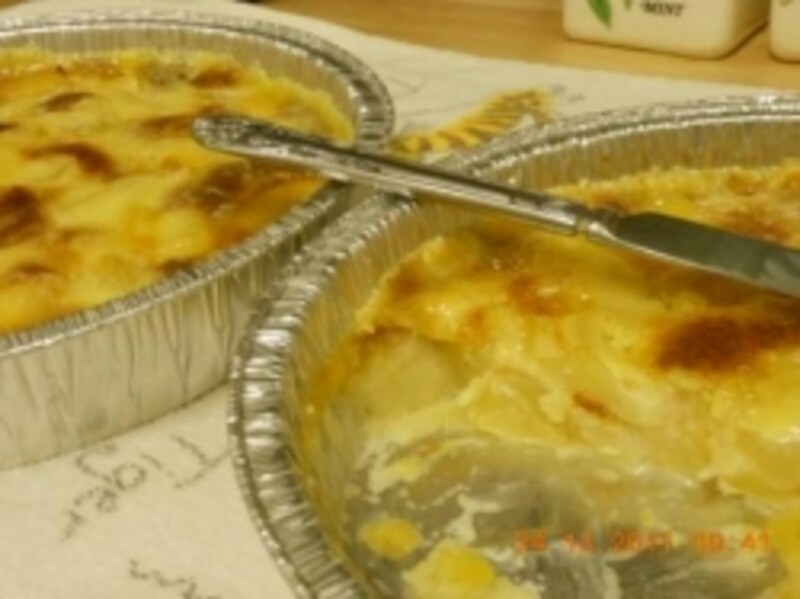 To Make Topping: Using a pastry cutter, mix together 1/2 cup flour, 1/2 cup sugar and butter until evenly distributed and crumbly in texture. Sprinkle over apples. Put pie in the oven on a cookie sheet to catch the juices that may spill over. Bake 45 minutes. Have you ever tried this or another unusual recipe? Leave me a note. I love messages! Thanks for this lens. I learned something new! My mom used to make this for us when we were kids in the '60s. We were amazed! Looks good! Do come by and see the new and revamped Culinary Favorites from A to Z group! Your page is still being featured under a is for apples. You make that look so easy. Thanks for joining G Rated Lense Factory! Thank you so much for featuring my Tender, Flaky, Whole Wheat Pie Crust in the module above. It's 3:00 AM and I stopped into Squidoo for five minutes and got totally hooked reading your mock apple pie story. Thanks for a good read. Hi, you have great and very informative lens. 5 stars of course. My Mom made this for us as we were all still at home. We thought we had eaten apple pie until she told us there wasn't an apple in it....she had made it from Ritz crackers! thanks for the recipe! 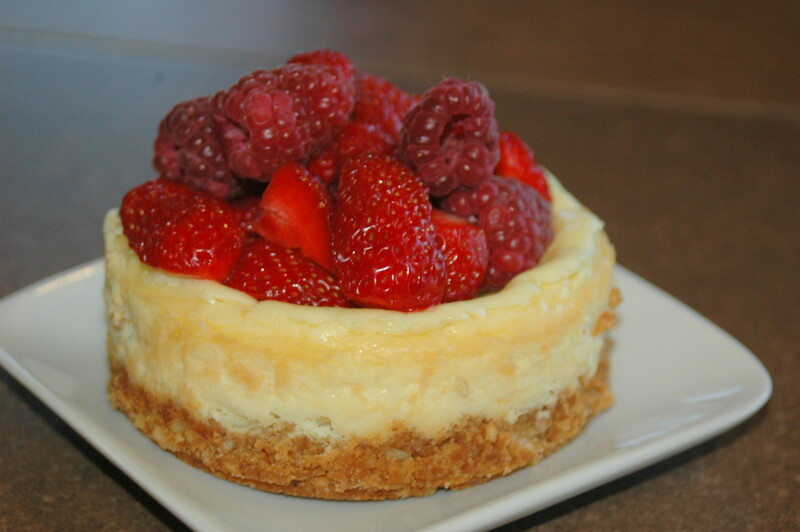 Looks very easy and delicious. I had never heard of mock apple pie before. nifty! Great lens. Its fun to explore the things our ancestors did to get by. I've heard of this before but never had it...no excuses now, I'll have to give it a "whirl". Nice lens. This apple pie lens leaves me without words!! I would eat some of this gorgeous pie! 5 stars. Dugg it!! I must to say that all your lenses are very good!! Great lens. In spite of being the apple pie queen of my family (mock or real) I did not know what cream of tarter was made of. Thank you for that wonderful info. Tiny little secret. . .add just a smidge of ginger to your apple pie spices. Really makes the taste pop! You've been nominated for Lens of the Week! What a cool recipe! I just love your easy to follow instructions, too (my favorite kind :o) Thanks! then you put the face on it, that was fun. a great lens, very well done. This great lens is now being featured at Cabaret Squidoo! Thanks for this lens. I had lost the recipe for this long ago and it's so darn easy when you don't have much to cook with. 5 stars. Awesome Lens! I lensrolled you to my Apples, Apples, Apples and gave you a Squid Angel Blessing! 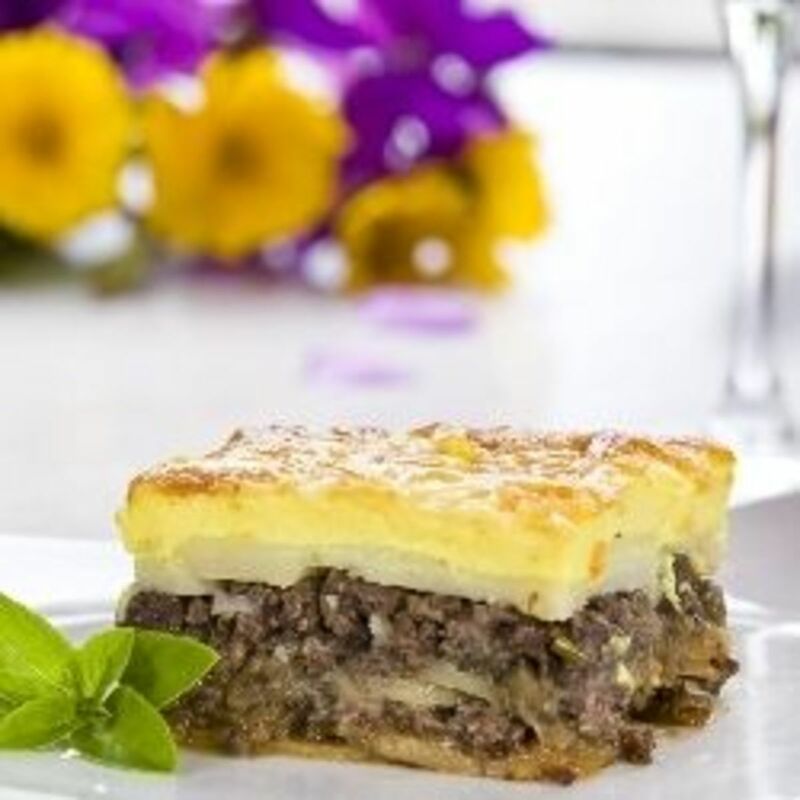 Thanks for featuring my "Lavender" lens on your fantastic "Incredible Recipes" lens. I've always wanted try this! Thanks! I love it! You've done a great job &amp; I, too, give you 5*. I also lensrolled you. Great job on this Lens! I learned a lot, which I always appreciate. 5*!! !